Drop-Shoulder Top Just $15.99! Down From $48! Shipped! You are here: Home / Great Deals / Drop-Shoulder Top Just $15.99! Down From $48! Shipped! 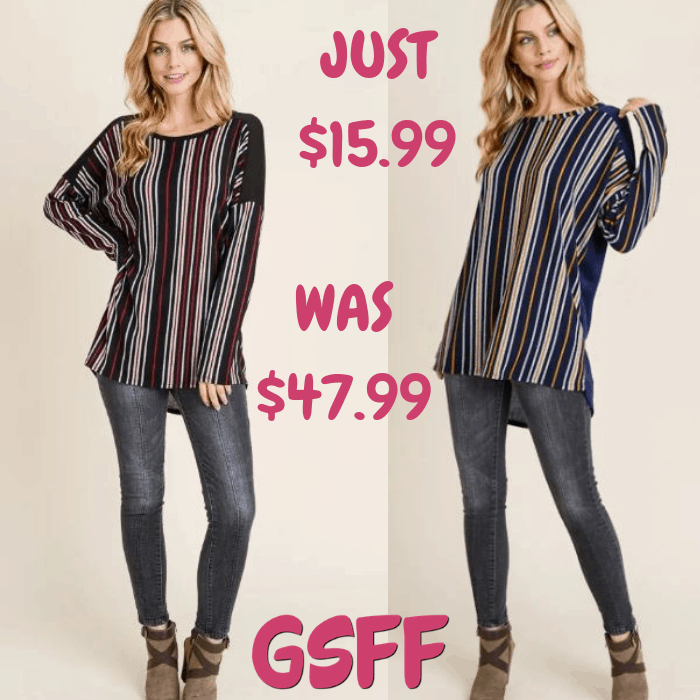 Head over to Jane to score this Drop-Shoulder Stripe Top for just $15.99 down from $47.99 PLUS FREE shipping! You will love this beautiful top its a must have this season it gives you a High-Fashion look. You will love the texture and the soft material of this long sleeve! Pair it with your favorite jeans and booties.